Welcome to Powerstown ETNS. Fáilte romhaibh agus roimh bhur bpáistí. We hope you are looking forward to your child’s next milestone; starting Junior Infants in Powerstown Educate Together National School for the 2019/2020 school year. 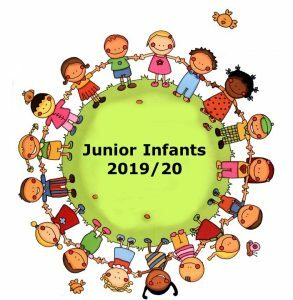 In preparation for your child commencing school with us, we have created this web page, with excellent links and supports for you, as parents, to prepare your child for Junior Infants. We also envisage that this page will give you an insight into the school policies and programmes that we use in Powerstown ETNS. Further information is available on the school website and class blogs. It is important that you read the school policies and familiarise yourself with our Code of Behaviour, Enrolment Policy, Child Protection Policy and Anti Bullying Policy. By enrolling your child in the school, you agree to support all our school policies. We look forward to getting to know you and your child over the coming months and years.